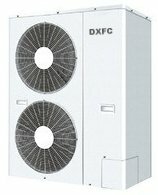 Applications include data centers, commercial and office server rooms, residential and other DX free cooling applications when outdoor temperatures are cooler. For the environmental enthusiast, soon to launch, a range of R-32 split air conditioners will be available towards the end of the year. Thanks to their newly patent pending reliable method of cooling, these air conditioners come with 5 years of warranty.